Offers, bundles, and packages are a convenient way to get most out of mobile services. Different bundles provide a simplified way for mobile users to enjoy calls, messages and internet access at fewer rates. So, it is essential for telecom companies to come up with the most appropriate package to draw in more customers. Packages can improve the user’s experience by giving them more features than usual. These offers provide the customers with more control over the charges and resources. Network providers should create the bundles or packages according to customer’s need and affordability. Most of the packages give customers not other than just disappointment. If you are in search of a hybrid bundle at fewer charges then subscribe to 3 days Sahulat offer and get on-net minutes, off-net minutes, messages and data Mbs at just Rs 40 including tax. No additional and hidden charges will be deducted in this offer. You can activate this offer by dialing *5*3# from your Telenor connection. A verification message will be received regarding successful subscription. For more assistance, you can call Telenor helpline. Get 250 minutes from Telenor to Telenor to enjoy conversation with on-net friends. Want to connect with off-net friends then have 25 minutes for other networks. Unlimited access to the internet with 50MB Internet along with 100MB for WhatsApp, Twitter & Facebook. All Telenor prepaid subscribers are valid for this offer. The bundles will be valid only for 3 days. 3-day Sahulat offer cannot be subscribed again until the expiration of bundle. 5 paisa will apply as call set up charges on each new call. FED charges will apply on recharge and other usages upon regional basis. Default charges will apply after expiration of offer or on consumption of resources. 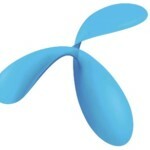 Telenor can withdraw or change the offer at any time. Telenor is giving you an excellent offer to get all services at fewer rates. It is a great hybrid offer, and you should subscribe it now to get unlimited minutes for both on0net and off-net friends, SMS for all local networks and free web surfing.